Though many of us reading this site are, indeed, already partnered with no immediate plans to go off in search of new loves, I think we can all use a little time to contemplate the problems of finding love and putting it together with the economic part of marriage. Marriage for women meant, not just a husband to look after you, but also participation in a community, where your in-laws and neighbors would help take the load when your babies were small. And when you married, you married into a certain class; unless war or famine or plague tore your world to pieces, what you saw at 16 was what you would get at 60. Even our tax system is still built on the concept that marriage is about economics, with dollar-value allowances for marriage and children. And yet, as Robert points out (anecdotally), there is none of the social stability that existed in centuries past. The 20-something who is headed to a career as an investment banker may end up as a drunk, or a struggling artist, or a wealthy venture capitalist; the 20-something who is a soldier could have a future as a drunk, or the low-paid development director of a non-profit organization, or the head of the CIA. 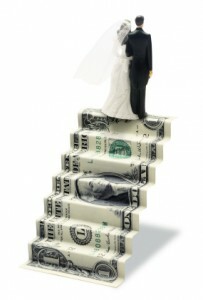 We usually marry for love today, which is good, because marrying for money is decidedly untrustworthy. Unless you’re marrying into a wealthy family (which has its own pitfalls), it’s difficult to look at the financial situation of a to-be spouse in your twenties, and predict with any reliability your combined financials come age 55. It’s like predicting the “synergies” of two companies about to merge; when you’re putting the deal together, everyone only wants to look on the bright side. Any negatives are “market forces” and have nothing to do with the inherent differences of two different individuals. Right? Risk tolerance. I think a good match would be two people who have similar risk tolerances; for whatever reason, both of my partners have been very risk averse. I am a risk lover! I will take risks all day long (not crazy ones like on-margin stock trades or underwater houses, more like, quitting a salaried job to freelance, instead) as long as they don’t send me into debt. This has caused a lot of strife in our financial relationship. Spending priorities. This one has changed for me, some, but I think the signs were already there! I spend money that makes me comfortable and my life rich; my ex-boyfriend spent money to look good for others. So I spend far more than the average person, as a percentage of my income, on quality food ingredients; I was very motivated to buy a house I loved and felt I could live in, not caring much about the desirability of the neighborhood; I buy a lot of books and spend money to go to readings and plays and other cultural events that give me conversation and ideas. The ex-boyfriend felt the car he owned, the clothes he wore, the restaurants where he ate were very important. I’m glad I’m not living that life now. Attitude toward debt and saving. I don’t think I’ve always lived the life I wanted to live, but generally my attitude toward debt is that I don’t want any and my attitude toward saving is, that’s exactly what I want. Circumstances have gotten in the way; I’m still “living down” the influence of my highly-leveraged ex-boyfriend. And this is hard to assess in a new love, because most of us say we want to live without debt; it’s harder to live. As much as you can, find the person who walks the talk you can live with. Owning up. This is a personality concern that almost always turns into a financial concern, and I’ve seen it up close too often not to include it. It’s really hard to create a solid financial footing with a partner whose problems are never their own fault. Two people close to me are married to spouses who often leave jobs — and even beloved hobbies — in a huff because the boss/colleagues are “out to get them” or have created terrible working conditions. If a potential partner is always getting cheated out of his or her due or is continually ending up in hostile work environments, consider whether it’s not everyone else in the world; it’s (at least partly) your beloved. Gold rush fever. If you watch Dr. Who, think of Rose Tyler’s dad; always with a get-rich quick scheme, and it only worked in a parallel universe. Given the lack of quality rips in the space-time continuum, I would be tentative around anyone who expects at any minute to be whisked from obscurity to fame, or poverty to riches. These often quite endearing souls are also the sort who trust too easily and can, just as easily, be swindled or end up with dashed hopes. Find someone who wants to toil long and slow to reach eventual financial comfort or minor renown in her niche. Negotiations. I wish I’d thought of this 20 years ago; my life would have been much more dull, but in a good way. Watch your partner negotiating for anything from a new car to a discount on a poor restaurant meal. Now think: you’re going to be on the other end of that negotiation one day (probably, a lot). Big points should be given for the ability to reach a win-win scenario, and lots taken away for the deal in which your partner gets a fantastic price and the other guy in the negotiation is fearing for his job. 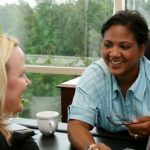 What do you wish you’d assessed before partnering? Or did you make all good choices? (Lucky! Smart!) I’d love to hear your stories. Smart advice. As a bankruptcy lawyer, I can attest to the importance of financial harmony in a successful relationship. Too often, money conflicts within a family lead to bankruptcy and divorce. 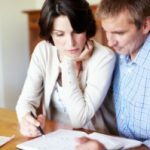 Factoring in financial compatibility at the outset may not be romantic, but it can save lots of heart ache down the road. The Negotiations piece at the tail end is brilliant! Being compatible financially is so important. That’s why I waited until I was 37 to get married and I married a man who hated debt. The men I dated up until that point were more concerned about the car they drove and the fancy stuff they owned. Not important to me! * intelligence – I find super intelligent people who like to think more interesting than others. People of only average intelligence but who also enjoy having their brain in the “on” position are also good. * honesty – I prefer honesty to the point of not caring about tact or even big egos. * self-sufficiency – Of course no one’s really self-sufficient (most of us rely on farmers, etc. ), but my ideal is where we both can basically take care of ourselves most of the time. This is probably based on a flaw of mine–I don’t like having to rely on others (who may be unreliable), and I don’t want the pressure of others relying on me. Helping each other out occasionally is great. Coming to the rescue several times a day or even several times a week gets old fast. * a good mix of responsibility and fun–some people think that acting responsible means never having fun but I don’t think that should ever have to be true. Yes, you have to earn money to spend it, and yes, it takes time to take care of yourself. But low money stress and good health help with the fun and there are many cheap ways to have fun. * risk tolerance – I’m pretty risk averse and haven’t been with anyone too risk-loving for me. I do believe in keeping money decisions separate, though–I can invest my half conservatively and he can invest in a more high-risk way, and then the winner can cover the loser. I’m a big fan of things like back-up plans and emergency funds to help enable more risk-taking so I don’t go too extreme the other way. * spending priorities – I save on housing, transportation, food, and short-term fun so I can have (lower-paying) lower-stress jobs and spend on vacations and early retirement. Most of my partners were poor-ish students (my favorite), but my two latest focused on either electronics or music (and would also go on vacation with me), so it’s worked out. I like that all my friends spend in different ways and we share – like in grad school, one guy had a ping-pong table, one guy had a volleyball net, one guy had a barbecue grill. * debt and saving – plenty of student loans, but no additional craziness–lucked out here. * capitalist/socialist – I’m into capitalism + safety nets; not sure about partners. They were all into programming or engineering work and they all worked for the man even if they also did little side projects. So my working for the state wasn’t too different. Lucked out again. * owning up – I think I catch this with my responsibility and self-sufficiency checks. * gold rush fever – my dad has some of that, so I know I need to stay away. Same for workaholism. * negotiations – never thought of this–just lucked out. One other trait – some people get really good at a lot of things by being selfish with their practice time. So I like to do self-centered things (like practice) when no one is around, but one partner did drive me nutso with practicing scales on the saxophone at all (daylight) hours.